About the Book: Living deep in the wood where they can't be found, Carey and her sister Janessa depend on each other. Their mother comes and goes and all they know of the world is what their mother tells them. When two strangers arrive and Carey is reunited with her estranged father, Carey begins to question everything she has ever known. But as she is reintroduced into a world she has long ago left, Carey is afraid to reveal her secrets, including why her sister Janessa has not uttered a word in over a year. Is Carey's father telling the truth about her long forgotten past? And can Carey learn to open up and learn to trust again? 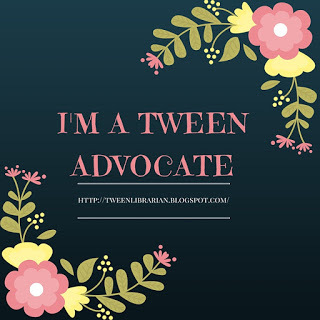 GreenBeanTeenQueen Says: I am so glad to finally see If You Find Me on the shelf! I was lucky enough to read an early copy of this book last year and I've wanted to talk to everyone about it ever since. 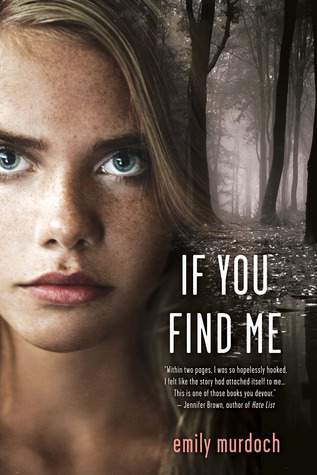 If You Find Me is a contemporary story that felt like it stood out among the crowded field of YA. The premise of Carey being taken from her family years ago and now learning the truth about her past was emotional and heartbreaking, yet ultimately hopeful. As Carey slowly uncovers the truth and learns to trust those around her and it's an emotional journey that the readers goes on with Carey throughout the novel. Once Carey hinted that she had a secret, I wanted to know more and that aspect of the storyline kept me reading and engaged. I wanted to know what Carey was hiding and why Janessa wasn't talking. I had my ideas and I wanted to keep reading to see if my theories were correct. What I really appreciated about If You Find Me was that each time I thought the author was veering into something that I thought was yet another typical YA novel troupe, she managed to surprise me. Carey and Janessa's adjustment from being sheltered with their mother and now re-entering a world that is unfamiliar added something new to the story. Their transition isn't easy-and not just for them. Everyone around them is adjusting as well. Carey's father has remarried and has a daughter, Delaney. Yet this wasn't another mean girl storyline. Delaney was caught in the middle of having to deal with everything that was happening and all the what if's that she had dealt with having been caught up in searching for Carey. I also really appreciated the plot with Ryan. At first I thought the novel was veering into another "new girl meets boy" story, but the author made their friendship make sense and Ryan fit into the story in an unexpected way and I really liked the book even more for that. There is so much here for the reader to unwrap and Emily Murdoch does a great job of saying a lot without saying much. The reader gets to unravel the story-from Delaney and Carey's delicate relationship, to Carey slowly letting her father in, and even in Janessa's relationship with the family dog which was perfect. It's a beautiful, emotional read that wraps you up in the story and doesn't let go. What a great review of an underrated book. I found it exciting and gripping, although the dialogue fell flat at some points.